This Tribal Wolf necklace is cut by hand and really pops out! We have cut it in an arrowhead design. 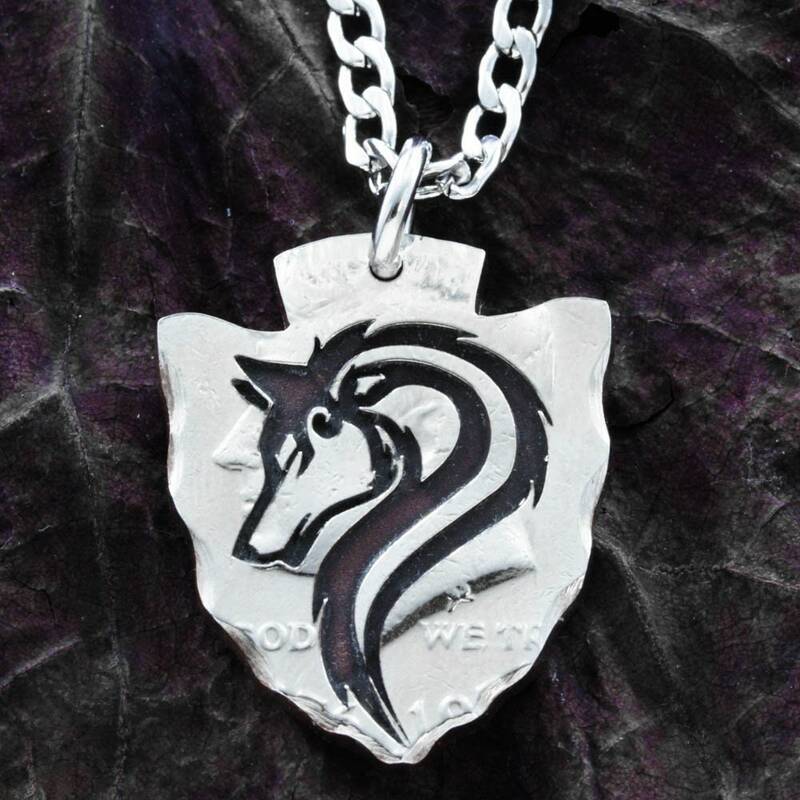 The details of the wolf are engraved deeply into the coin. 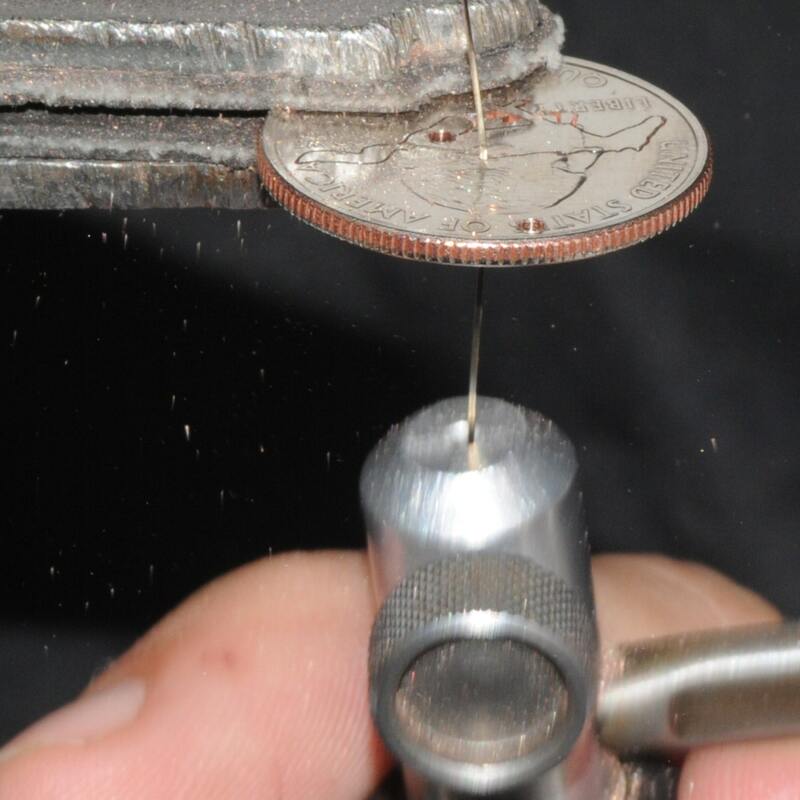 All of our coins are cut meticulously by hand with a view to perfection and strength. Both the pendant and the chain are very strong. You can choose different coins for us to cut this design in. 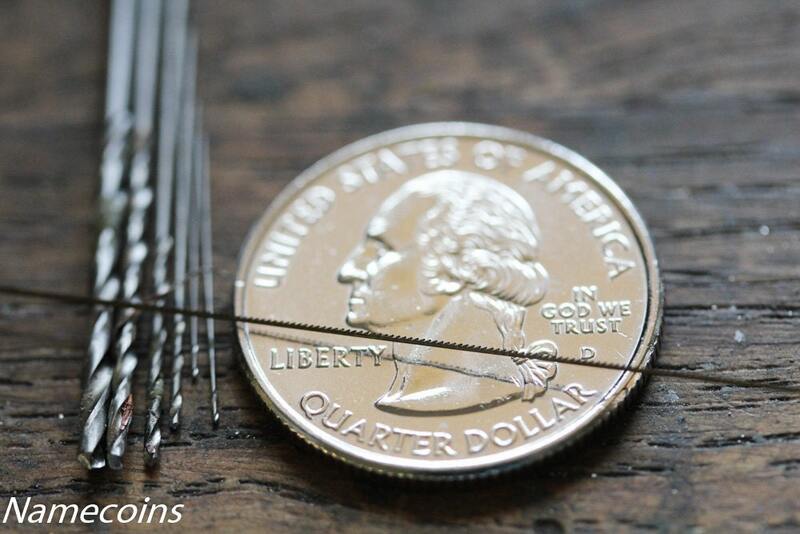 Note that the one pictured is cut from a half dollar. If you choose a quarter it will be relatively small. 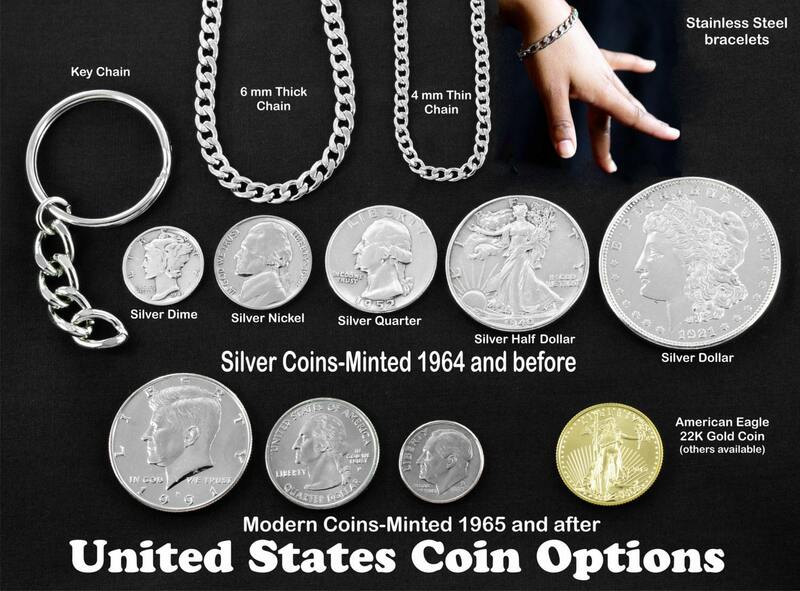 Look at our coin size chart so you can get the perfect one for you!